A couple of years ago, I stumbled across an anonymous post on a blog in which the writer was talking about — of all people — me. The writer was musing over the fact that I had been laid off from my newspaper after 43 years. That’s neither here nor there, but I was interested in his description of me as a “raspy-voiced guy with a North Jersey accent.” I was not aware that I had an accent — North Jersey or otherwise. In fact, I’m not sure there is such a thing as one North Jersey accent, and I don’t hail from the Hudson River towns that are usually associated with “joisey” talk. 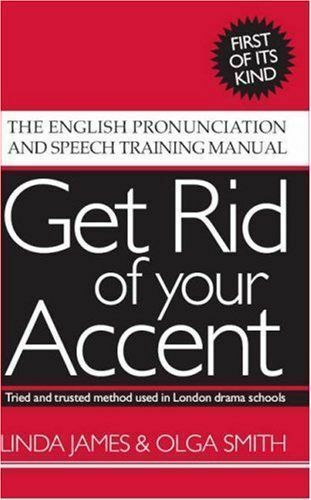 This came to mind yesterday when I was listening to a presentation on WNYC radio about the accents in New York. There was a segment on the Brian Lehrer Show — absent Brian Lehrer who, I suppose, was on vacation — featuring Heather Quinlan, a TV producer who is producing a documentary called “If These Knishes Could Talk” and Sam Chwat, a speech therapist or pathologist who, among other things, helps actors who need to alter their speech for specific roles. For my money, this discussion didn’t live up to its promise. Perhaps one of the reasons was that — as one listener commented on the show’s web site — neither of the guests is a linguist. I was disappointed, because this subject has always interested me, and I listen very carefully to how people speak. I like National Public Radio, in fact, not only because of all the information it provides but because of the many accents. I like listening to the accents of speakers whose first language was something other than English, but I have a special fascination with the many ways in which native speakers use English. 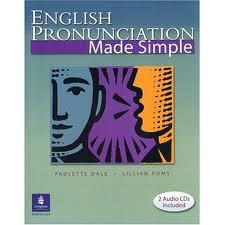 There are two aspects of speech variations: pronunciations and choice of words. Word choice , I understand, can vary not only from one region of the country to another but within a single state. For example, the pasta known as penne is known in the Chambersburg section of Trenton, here in New Jersey, as “pencil points.” And I read a magazine article many years ago in which the writer claimed to demonstrate that submarine sandwiches are called by different names — subs, hoagies, grinders, or heroes — in different sections of this state. I’m more interested in pronunciation. When I lived for a year at Penn State in central Pennsylvania, it was a regular smörgåsbord of accents, because the tens of thousands of students and hundreds of faculty came from all over the world to mix in with folks who lived in what was then an otherwise isolated area. My immediate neighbors were from Iran and North Carolina. PBS has a fun exercise on its web site in which you can listen to various voices and try to place them by region on a map of the United States. To see it, click HERE. I have become increasingly aware of the different accents in this area, and I don’t really think you noticeably have any of them (nor would I describe your voice as “raspy”… did this person mention where he heard you talking?). My Delaware co-workers (and Tammy’s neighbors)have a distinct way of pronouncing certain words like “told” or “showed” which immediately identifies them. She laughed and told me I was right. I have yet to meet ANYone (besides Uncle Ziggy and his kin) who says “boids” or anything like that, and I’m in Jersey City pretty often. I wonder if that accent even still exists. One of my aunts remarried when I was very young, and her new husband was from “Joisey”. They lived in Lower Manhattan, but spent every spare minute in Jersey with his family. I can’t remember exactly where the family lived, but I remember conversations about Newark, Elizabeth and going “to the shore”. Harold stood about 6’8″, had a white crew cut, was in waste management, smoked cigars and said “boid”. I thought everyone from New Jersey talked like my Uncle Harold. Eventually, my aunt picked up the accent, too. When she came back to Iowa to visit, the home folks reacted as though she’d grown two heads. I loved it – that pair was my first experience of dialect. In 1975 we drove up to northern Alberta to spend time with my wife’s family up there. We spent the better part of two weeks in Canada, and we noticed that we were already taking on some of the speech mannerisms of the people around us. My son and I once visited a Low Country artist named Joe Pinckney who lived in the Pinckney Colony outside Hilton Head. We were curious as to whether there was a connection between Joe’s surname and the name of that area. Joe didn’t seem at all bothered by two total strangers walking into his studio and ask him about his family background. He didn’t know of any connection between his name and the local place name, but he talked to us for a couple of hours anyway. One of the things he told us was that he was a kid living in New York City during World War II, and his family — worried that Germany might attack New York from the sea — sent him to live with his grandmother on Dafuskie Island for the duration of the war. Joe said he took a lot of ribbing from his peers when he got back to New York and talked with a distinct Gullah inflection in his speech. I wrote a blog post about Joe when I learned that he had died. Our ability to discriminate among variations in speech seems to diminish as our distance from a region increases. Northerners tend to hear only a “Southern” accent, and usually can’t tell if someone is from Texas or Tennessee, or even discern a difference. Most people hear the same “New York” accent, whether the speakers are from the Bronx, Brooklyn, Westchester County, or New Jersey. Charles, I agree with you: it’s a fascinating topic. I have been planning to write about it, too, although from a somewhat different angle. Thanks for the push, and another excellent post. Your son, Christian, refered me to your blog because I am a linguistics student. I enjoyed your entry! I lived in McGuire Air Force Base as a kid in the early 1990s, and I remember people from that part of NJ talking distinctly different than the people from the Northern part, which sounded rather New Yorkish to me. But anyway, the father of sociolinguistics, Bill Labov of UPenn, places south Jersey and parts of Pennsylvania and the Delaware Valley as the Mid Atlantic Accent. Northern Jersey, on the other hand, is closely related to New York English. It’s been 16 years since I’ve left NJ for Seattle, but I still have traces of the Mid-Atlantic Accent. We used to camp in the Cape May area and there, too, we noticed differences in the way people spoke. We met a lot of black people when we camped near Cape May Courthouse and were using the retail stores and laundromat there, and they especially seemed to have speech patterns and intonations different from what we were used to in Passaic and Essex counties. It’s a fascinating subject.